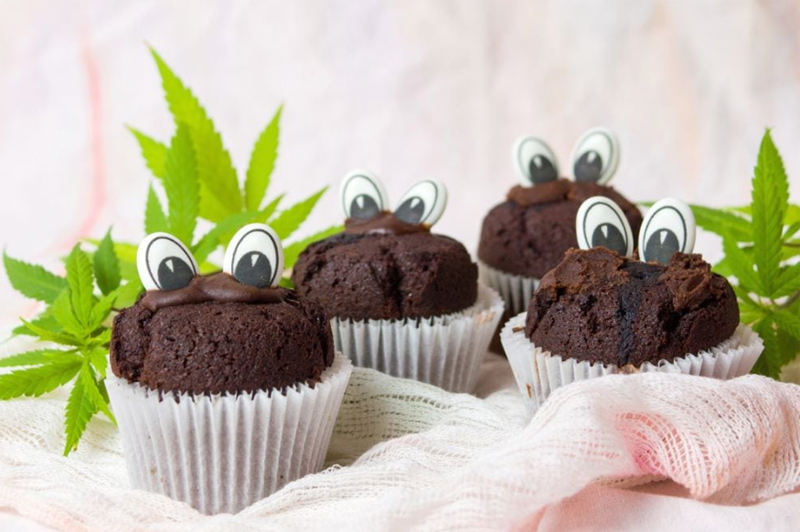 A Government spokesperson said, “As Halloween approaches, the Department for National Drug Control [DNDC], under the Ministry of Social Development and Sports, would like to highlight concerns about marijuana edibles, as this is a time of year generally recognized by both children and adults as one in which to indulge in sweet treats. “‘Marijuana edibles’ are food-like products that can contain concentrated tetrahydrocannabinol [THC], the intoxicating chemical in marijuana. “The effects of edibles can take up to two hours to be felt and can remain intense for two hours or longer, depending on the individual and the amount consumed. If ingested in high quantities, some of the symptoms are extreme confusion, anxiety, panic or paranoia. “The specific food items for parents/guardians to look for are popular treats such as unsealed gummy bears, homemade chocolate bars, lollipops, caramel chews and various other gummy candies. “Additionally, homemade baked goods such as brownies and cookies, and normal commercialized candy that has been re-packaged in plastic bags should be consumed with caution. “The Department for National Drug Control takes its role in public education seriously and encourages the public to be aware of the dangers so that we have a harm free Halloween. Thanks…common sense does indicate minors must not be given access to anything not granted right until adulthood ,a protective order basically and is an indictable offence (no plea necessary…you go straight to magistrate). So…be mindful to possible access. As you are the responsible adult . Stop spreading fear. No one is doing this, weed like everything else on this island is too damn expensive. This was copied from a US news story probably by the Government Department with nothing to do..
Reefer madness at it’s finest. What about all the other bad things some evil adults could possibly put in goodies? Warning only on cannabis & still calling it by the derogatory term. What are the chances even of someone doing this? It would cost them a lot of cash to try something so stupid. I would be more worried about someone slipping something worst in a child’s goodies. It may cause confusion, anxiety, panic or paranoia. It’s not true that it always does. It won’t kill the child either way but there are other things that could be put in that would. They already give high concentrates to children as a medicine & it doesn’t cause them confusion, anxiety, panic or paranoia because of it’s type. Why not just warn parents about anything dangerous being put in a child’s goodies & if the child in any way starts feeling strange or sick to take them to emergency. Where’s this reefer madness coming from? Whoever giving edibles I please welcome them. Fear mongering nonsense. What baby boomer’s made up Facebook post inspired this idiocy? Nobody is wasting their good money on giving edibles to kids. Government needs to grow up, and stop copying this Regean era misinformation and scary stories about weed. Haha Bermuda has THE highest ‘mark up’ for illegal drugs worldwide. A quarter ounce of high quality marijuana in Canada costs anywhere from 45$ to 80$. In Bermuda it’s 250$, with questionable quality. No one is wasting their weed on trying to get strangers, children at that, high. I might as well wash my car with dom perignon! Rich Bermy teens make “brownies”. Warning is based on cases. Finally , a good excuse to get out my old Halloween costumes again. Aint nobody giving away any Edibles in Bermuda. They cost way to much. You need at a min 1 oz of flower to make oil for Edibles. One oz of mid grade flower is about $800. Now tell me who giving away $800. I would handcuff myself to an unsocialized pit bull and saw my own ankle off while in possession of the key before I spent that much money to get anyone high for free, let alone children…Even if I did you would thank me. Yo, if you giving out free edibles please let me know. I would really appreciate the hook up and it saves me the hassle of bringing them in myself. Looks like I’m going trick or treating this year.